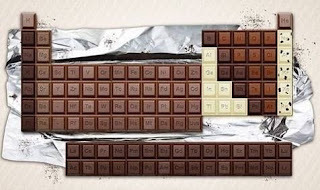 What elements are in chocolate? Elements that have been detected in chocolate (in this case dark chocolate, rough percent of my recommended dietary allowance in parentheses assuming I eat only a 100 gram bar). Nearly one fifth of the known elements have been detected in chocolate, which clearly should be the backbone of any periodic diet. What other elements are you eating? 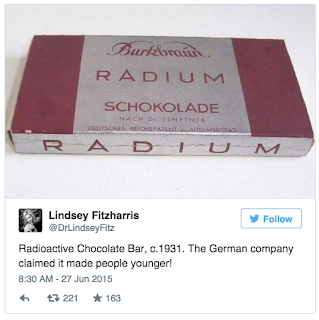 What is the half-life of a tweet?